The Detroit public school district may have a new name, but the exodus of students from its schools hasn’t changed. In its first year of operations, the Detroit Public Schools Community District already has a $2.9 million budget deficit for the 2016-17 year. That’s because its planners underestimated how many students would leave, taking their state per-student funding with them. The district’s first-year budget projected 45,511 students, down from 46,318 in the 2015-16 school year. But as of a November 2016 report, the district had already fallen short, with just 45,153 attending. That’s according the Detroit Financial Review Commission, an oversight board created as part of the 2014 Detroit bankruptcy proceedings and bailout. According to the Michigan Department of Education, the official enrollment as of March 20 was 45,256 students. 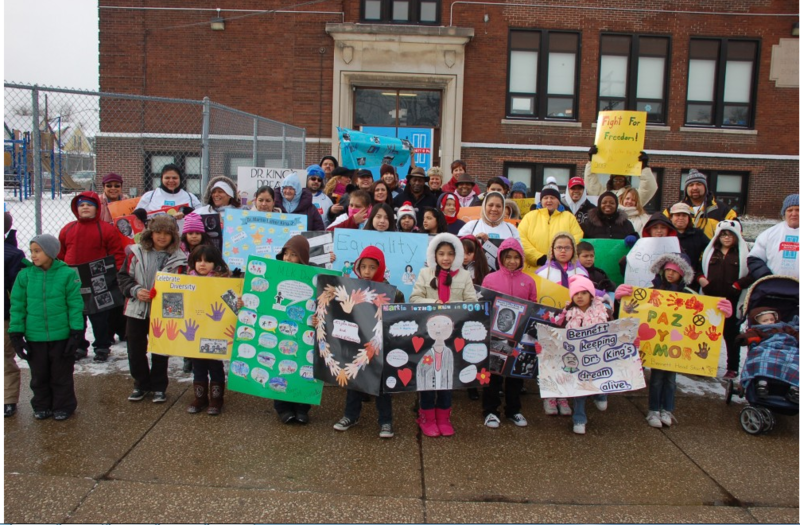 In 2000, the Detroit district had 168,213 students, well over three times the current number. Also, the review commission reported that Detroit’s schoolteachers will get a raise effective July 1 when they will once again be able to move up the “steps” on the union pay scale, which rewards teachers for time on the job. Teachers who are already at the top of the scale and therefore not eligible for a step increase will get a one-time bonus of 3 percent. The review commission estimated that the increase in compensation would cost $11 million. Detroit teachers have been living under a base-salary freeze since 2010.